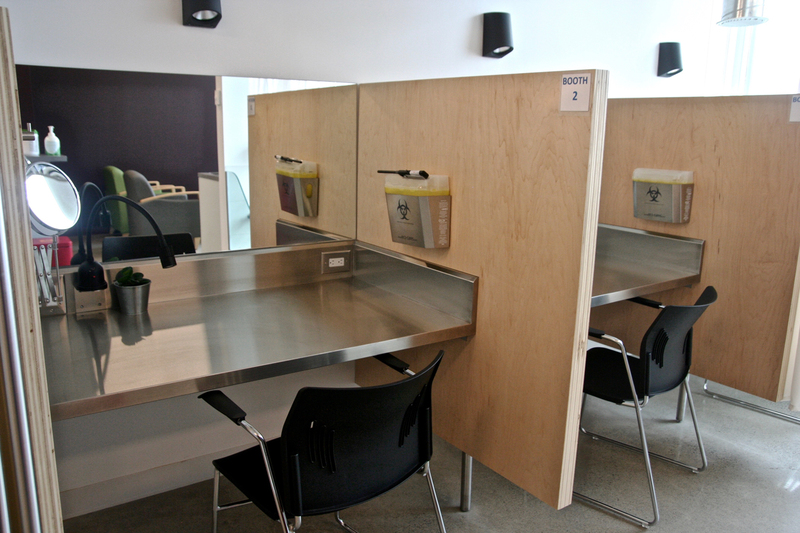 Supervised Consumption Sites (SCS) provide a safe place for clients to consume drugs (injection, intranasal, oral), and will integrate services that connect clients to primary care, treatment, and other health and social services. They are approved by Health Canada, and are allowed to operate with an exemption to section 56.1 of the Controlled Drugs and Substances Act in order to enable clients to be in possession of their own drugs. Supervised Consumption Sites do not provide illegal drugs to clients. Onsite or defined pathways to a variety of services including: addictions treatment, primary care, mental health, housing and/or social supports. The agencies leading an Supervised Consumption Site application for Barrie are the Gilbert Centre, Canadian Mental Health Association- Simcoe Branch and the Simcoe Muskoka District Health Unit. These agencies are working on behalf of the harm reduction pillar of the Simcoe Muskoka Opioid Strategy. Over the next several months these agencies will consult with Barrie community members and key stakeholders to get feedback on a supervised consumption site. This feedback will be addressed in the Supervised Consumption Site application for Barrie. Simcoe Muskoka Opioid Strategy is a community collaborative aimed at reducing opioid harms in Simcoe and Muskoka. In 2017-2018, Simcoe Muskoka Opioid Strategy developed and began implementing an Action Plan focused on prevention, treatment/clinical practice, harm reduction, enforcement, and emergency management. Click the link below for more information from the Simcoe Muskoka District Health Unit’s website.